When a mad scientist Dr. Simon invents a genetic transformation machine, a group of evil business men scheme to steal his billion dollar idea. But before they get the chance, Dr. Simon's 4 year old grandson accidentally turns his body into that of a 30 year old man and runs off! 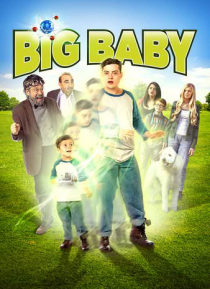 Now baby Bobby's siblings must catch him and figure out how to change him back before their parents get home - and befor… e the bad guys get to him first.